We opened our doors for the first time (to the public!) 4 years ago today, on April Fool’s. Though our building now houses a boutique hotel, event & co-working spaces, and a cafe, we opened each in stages, as they were completed. Our cafe was the first to open. 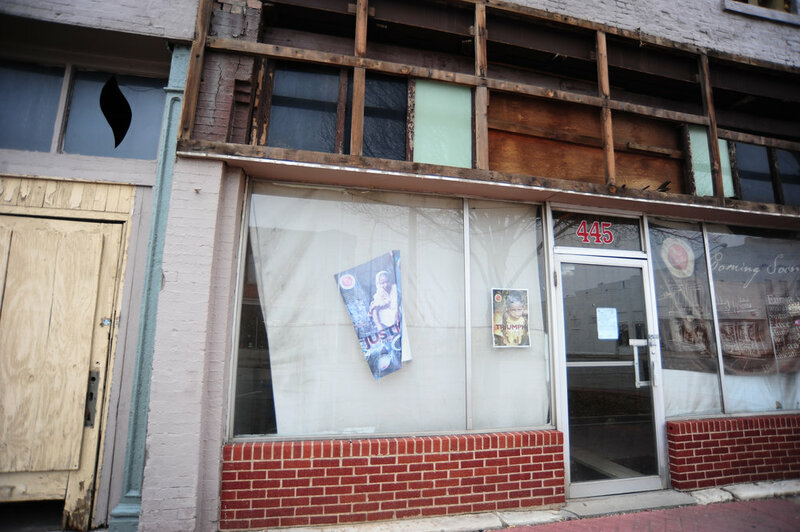 We purchased the building in 2011, though it took four years to get from point A (below) to point B (ready to open). Though we initially worked with contractors, a lot of the work was done by co-founder/owner Justin Beiler. Prior to his move to Springfield, his work was restoring historical homes in Lancaster, Pennsylvania, so this project was truly a labor of love for him. 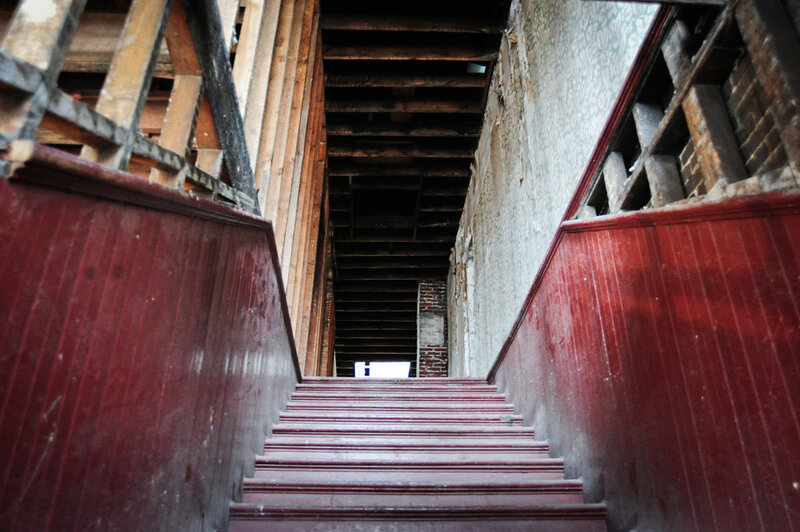 It was our desire to keep as much as the history/integrity of the building intact as possible. 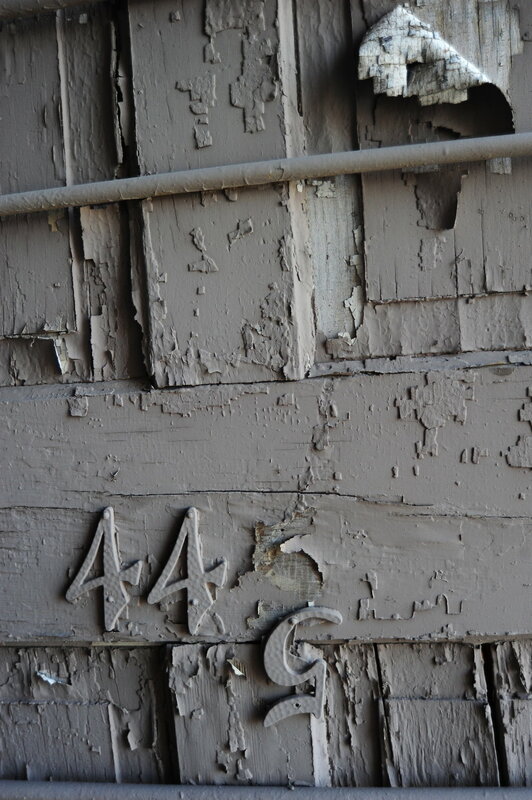 There was so much character, but much that had to be re-constructed. 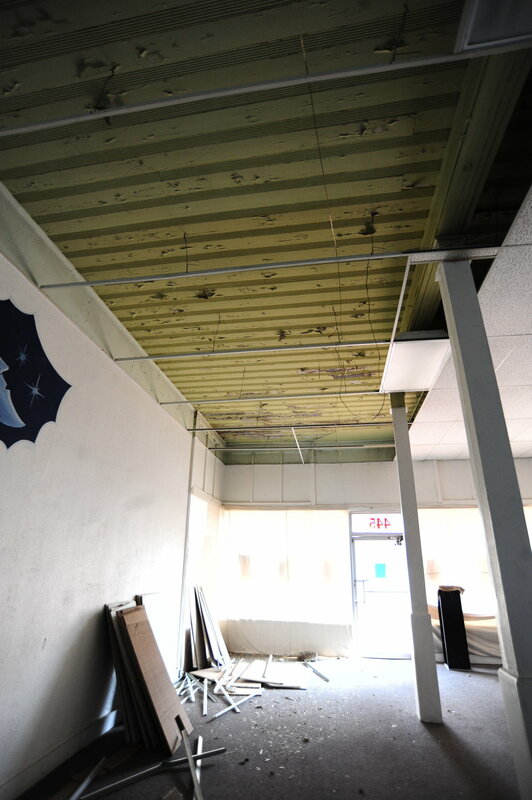 Doors, wood, even ceilings were repaired & repurposed though they’ve found new homes under our roof. Heavy oak was used to build tables, beds and other furniture. Outside doors are now used in offices upstairs. 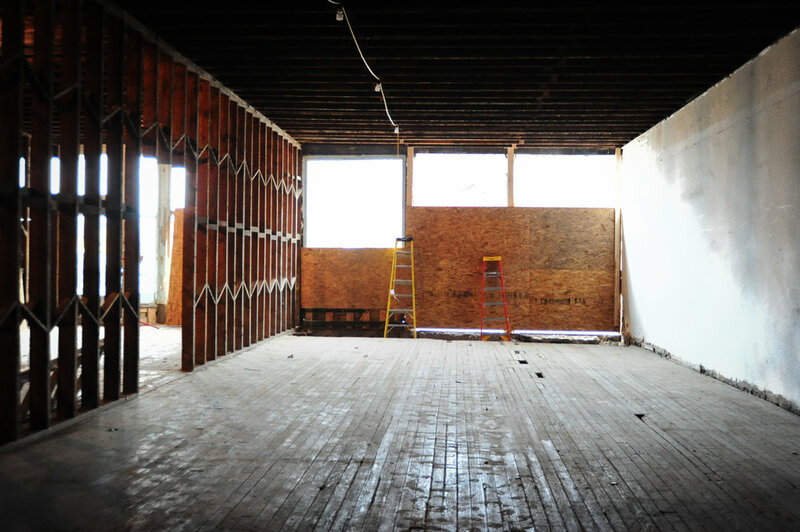 Wood from the ceiling is now the siding in our Fireside Gallery event space. We love this building and street! If you’ve not yet visited us, we can’t wait to meet you and would love to give you a tour. 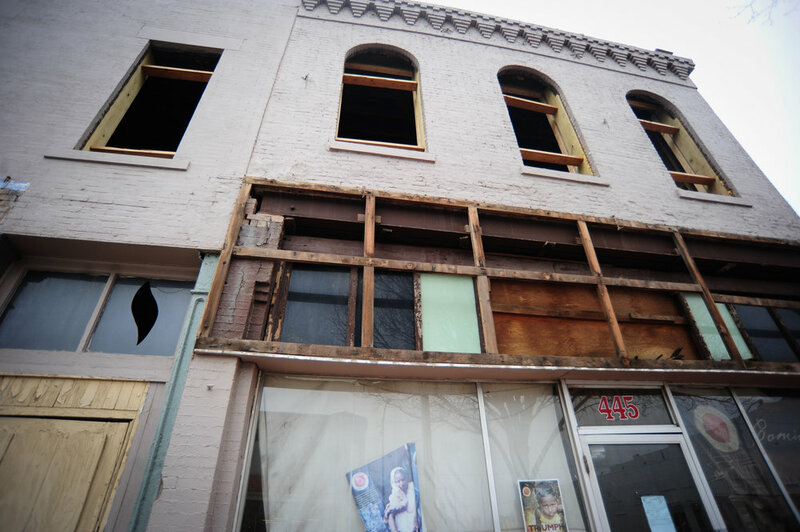 A few photos below of what our building looked like at the time of purchase in 2011! p.s.! Can you spot us? A photo from a verrrry long ago of our street and building.